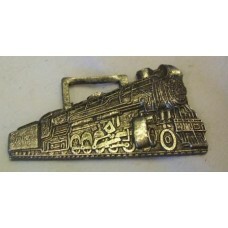 This category contains Watch Fobs with a Railroad Theme. Watch fobs were worn on watch chains. They were popular during Victorian times and after. A watch fob can also be anything other than a watch that can fit inside a waist pocket. Many styles, especially advertising designs, are still made today. Pennsylvania Railroad Enameled Pocket Watch Fob. Pioneer Steam Train St. Paul & Pacific Railroad Watch Fob. 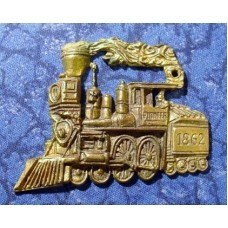 Pioneer Steam Train St. Paul & Pacific Railroad Watch Fob. Pioneer Steam Train St..
Santa Fe Chico Railroad Train Logo Watch Fob. 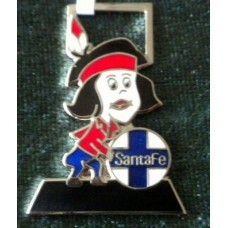 Santa Fe Chico Railroad Train Logo Watch Fob. Santa Fe Chico Railroad Train Logo Watch Fob ..
Texas & Pacific 610 Silver Plated Watch FobTexas & Pacific Railroad 610 Locomotive Sil..